A healthy, beautiful smile is never out of reach when Palola Dental is on your side! Our family dentistry is happy to offer a plethora of dental services, as well as a wide variety of restorative and cosmetic dentistry treatments for those in need of a little extra dental help in Mililani and Waipahu, HI. If you have teeth that have been badly decayed, damaged, or even missing, we have options to restore or replace them. Two of our most effective restorative options are our same day dental crowns and dental bridges. A dental crown is a device (sometimes called a tooth cap) used to protect or restore the appearance of a tooth. At Palola Dental we offer same day dental crowns that are made of beautiful porcelain designed to look and feel like your natural teeth. Our porcelain crowns are not only great looking, but also highly functional and are made to be durable and strong — and best of all, this service can be completed in just one day! Crowns will improve the look of your teeth and make them appear completely natural; others won’t even be able to tell any difference between one of your crowns and the rest of your teeth! They’ll offer plenty of support for any misshapen or damaged teeth that you may have. They’re highly functional and can fix the chewing problems you have. Crowns are very strong and durable; when you take care of them properly, they can last for around 20-to-30 years. At Palola Dental, we offer same day dental crown service, so treatment can be completed quickly in just one day! The technology to make high-quality, properly-fitting crowns has gotten so much better than it used to be. One of the incredible innovations that we currently use to improve your crown and bridge experience is the CEREC mill. Gone are the days of waiting for a lab to craft your dental ware. Now, we can take your mouth’s measurements, design your dental appliances with CAD software, and use the CEREC to mill out those appliances while you wait right here in the office. A dental bridge is a special dental apparatus that can be used to effectively replace missing teeth, and in most cases more than one (although a bridge can just be used to replace a single tooth). A dental bridge is made to look and feel like natural teeth, and to fill in gaps caused by tooth loss or other issues. In many cases a dental bridge is anchored on either side by dental crowns, which help provide support and stability. Dental bridges are designed to blend in with the rest of your natural teeth and will boost your smile’s appearance. A dental bridge will give you improved functionality and allow you to more easily enjoy the foods you love. They’ll also decrease the ongoing wear on your teeth; when you have missing teeth, you tend to chew more on the opposite side of your mouth, causing them to wear down unevenly. 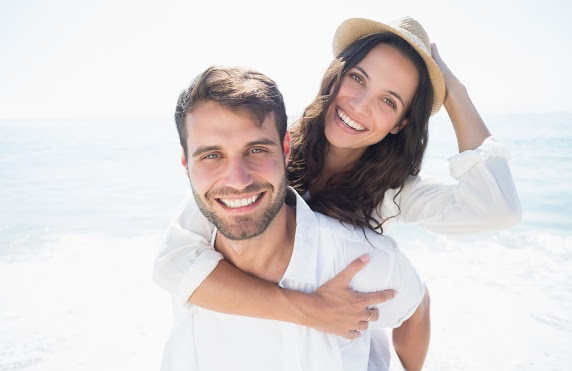 If you’re ready to have the beautiful smile you’ve always dreamed of, Palola Dental is ready to help with our same day dental crowns, or other restorative and cosmetic dentistry services. Or, if you just want to learn more about how dental crowns and bridges can improve your life, we would be happy to answer any questions you may have about all our dentistry treatments. Palola Dental is proud to be your family and cosmetic dentistry provider in Waipahu and Mililani, HI. We’re looking forward to hearing from you and helping you achieve a more beautiful smile! What are you waiting for? Contact us today!